On Sunday 11th September 2016 we dedicated our two new stained glass windows at the front of the church to two members who served this church well. Sylvia Warren and Ronald Smale both had creative touches, Sylvia’s cakes were legendary and her coffee mornings were not to be missed. Ronald helped in the building and maintenance of the church, his eye for details and practical abilities gave us the church we have today. 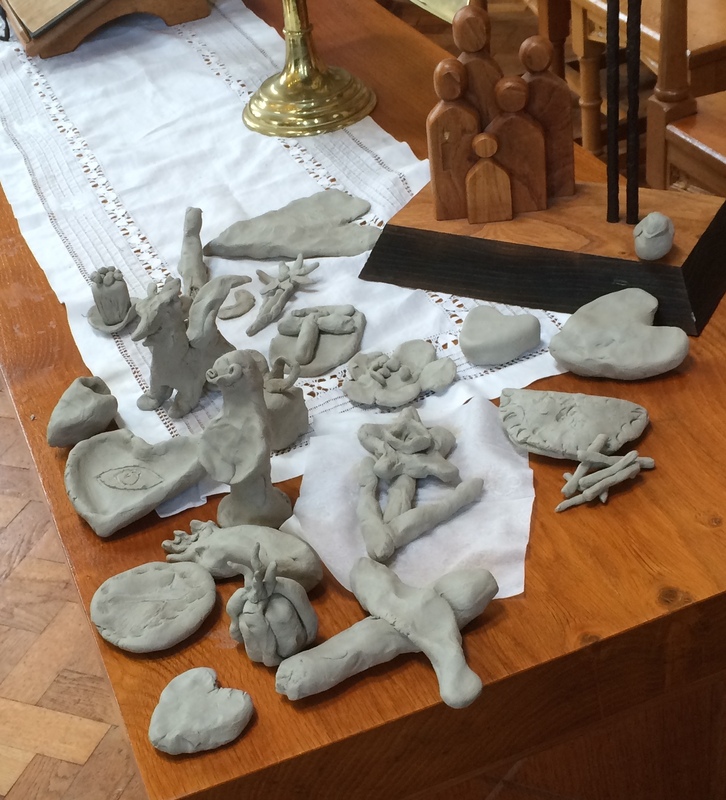 With this in mind the congregation were asked to create a clay sculpture, it could be anything they wanted it to be, but the sculpture was then to be given to someone else as a blessing. We had hearts, a sheep in wolf’s clothing, Morph, even a pasty and fish and chips! 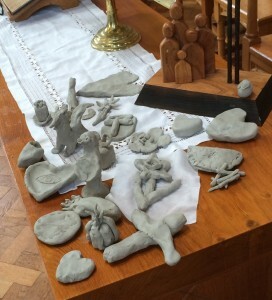 Sylvia and Ron were good at using their skills to bless others, and through these little models we have blessed friends or family. May you be blessed this day.